Design Manifestos: Brad Prestbo of Sasaki Associates, Inc.
Brad Prestbo is a Senior Associate at Sasaki Associates in Watertown, Massachusetts. 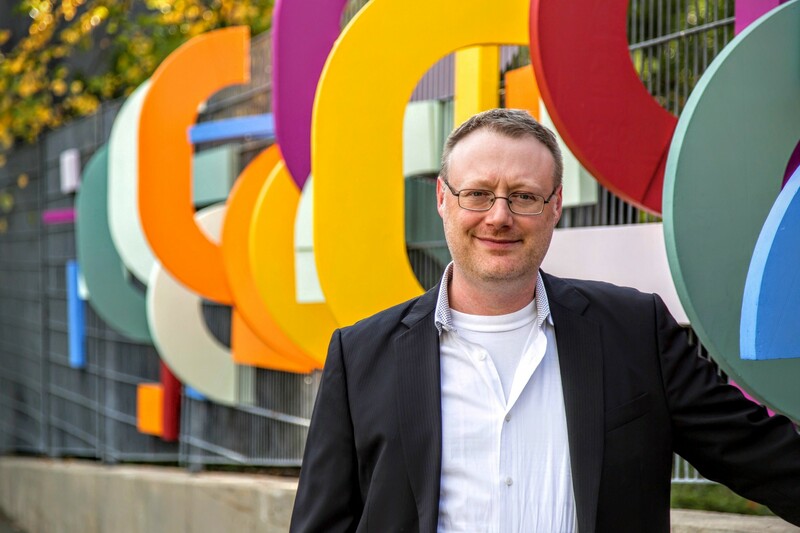 He is an architect with twenty years of experience working on some of the nation’s most prestigious campuses. A problem-solver with great technical skill, he has been part of several award-winning project teams. As chair of Sasaki’s Technical Resource Group, Brad shares his knowledge of design and detailing with the rest of firm to promote better practices in architecture. Modelo spent some time learning about Brad’s journey through the profession and about his current role at Sasaki. I have been enamored with this profession since I was very young. But of course a young person’s idea of what an architect does is very different from my day-to-day duties now. This profession has such depth and breadth, it would take a lifetime or two to explore every dimension. I’ve been challenged and inspired so much more than what a younger me could ever have anticipated. I owe my two grandfathers for providing the inspiration and drive toward this profession. Lake was very handy. A quiet man, he taught me about making things with a hands-on approach — which I still value today and use with my students. Oscar’s lesson was to do whatever your were doing to the best of your ability. Whether the task at hand was delivering a speech in class or folding laundry, he wanted me to give it all I had. In between my junior and senior year in high school, I attended Syracuse University’s college program in architecture for high school students. The Syracuse program was fantastic. Taking real college-level classes, away from home, making lifelong friendships and being totally immersed in this new and exciting world was eye-opening. I was hooked. A few of us received the Citation of Excellence for the class. Afterwards I applied for early-decision to Syracuse and was accepted. As important as my professors at Syracuse were, my first colleagues at PDRP were extremely influential on my career and who encouraged me to think past the small details of architecture. But nobody was more important than my wife, who was a constant source of encouragement. The project that launched my broader ambitions was Steven Holl’s Simmons Hall at Massachusetts Institute of Technology, for which PDRP acted as executive architect. This was an intense project, and led by an amazing team. Working hand-in-hand with Steven’s office was truly inspiring. I can still recall receiving faxes (!) from Holl’s office with sponge prints and updated design direction and the subsequent conversations with colleagues about how best to incorporate them, make them constructible, all the while maintaining overall design integrity. It was an awesome experience. I made the mistake of keeping track of all of the overtime I spent on that project, which was so shocking that I don’t keep track of “time” anymore. After Simmons Hall finished up, I was starting to feel burnt out and needed a change of pace. A former colleague suggested that I talk to Sasaki, which, at the time, was looking to build up its architecture practice. Working for an office with projects all over the world that touch the lives of more than one billion people makes one consider soberly what you are designing. In school and my early employment, I was solely focused on architectural building projects. Sasaki is an integrated design practice, incorporating disciplines such as urban design, civil engineering, environmental graphic design, landscape architecture and interior design, in addition to building architecture. But what keeps me at Sasaki in the level of integration of those disciplines. The level of collaboration we achieve fundamentally changes the way each team member thinks about the built environment because the sphere of context is expanding. This forces the team to consider aspects of the built environment differently than through only one discipline’s lens. We try to instill an inquisitive approach to our projects, and try to understand the fundamental nature of the problem we are trying to solve. Something along the lines of exploring the “first principles” of a problem, where the problem can be broken down to elemental pieces that require no assumptions. From this baseline, the team begins building up the reasoning to resolve the problem. For example, when working on a project for Ohio State University, we wanted to use precast concrete panels to clad the project. Conventional thinking would be to use those panels as the environmental barrier system, but this system has an inherent flaw of relying on sealant between panels to maintain the environmental integrity. We didn’t want to recommend this approach to OSU. With “first principles” thinking, we developed a strategy to hang the panels, while creating a drained cavity cladding system, maintaining our air-water-vapor barrier and providing continuous insulation. Building Design and Construction magazine honored the approach in their “Great Solutions” series. 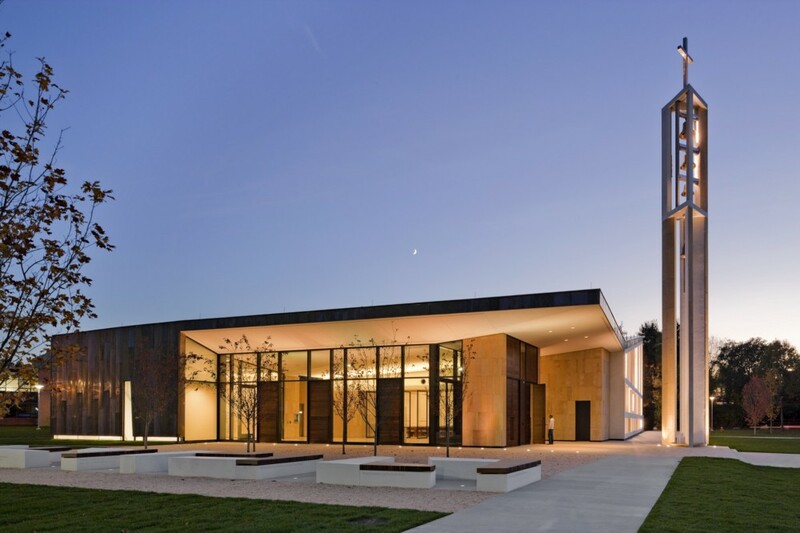 I practice at the intersection of art and building science, which combine in an architectural alchemy that resolves clients’ needs and embraces the surrounding context. One side of me is obsessed by technique and detail. The other is spontaneous, adaptive, and wary of getting bogged down with complicated processes. This duality manifests in being a practicing architect who works on a variety of project types, disciplines and scales; helping make people successful — from emerging professionals to seasoned veterans — through teaching, product and service development, and mentorship; and in leading a cross-disciplinary group of “pirates” doing epic stuff in our Technical Resource Group (TRG). Helping to found, and having been part of TRG for a decade, I now act as a mentor to the next generation of thinkers and makers. TRG started off as a small group that wanted to raise Sasaki’s profile through technical proficiency. Today, simultaneous revolutions of mobility, connectivity, and identity are changing our experience of work and, along with it, our relationship to place. At Sasaki, we harness this power to make human hopes and dreams into sites and structures. This has been our core tenet since day one. In every project, new possibility is translated into new action. We think beyond the building, beyond the site, beyond the grid, to design for people and for society. For us, that action is making in our “FabLab”, which represents much more than having a single space to develop prototypes or print specific designs — it is a mindset that brings our many disciplines together through hands-on, collaborative working processes and it is a way of thinking about the possibilities of project implementation of a project regardless of its scale. An example of success for this kind of proposition deals with the prototyping of building solutions for a model Master Plan for one of our clients. We developed a masterplan as part of the institution’s initiative of unveiling a new teaching methodology for their entire campus system that would overhaul not only their current pedagogical models but also their spatial ones. As part of the project, we developed a toolkit of solutions or ready made components — classrooms, offices, collaborative work areas, social spaces, that could be assembled in a number of iterations to create a campus and could also be produced as prefabricated components. The first building of this type is currently being built on their main campus — this building is one part conventional building (foundations, basement) and one part prefab components that are brought to site and assembled. In the Kit-of-Parks project developed at ABX last year, in partnership with the ASLA, we created an instant park made out of modular elements transportable via bicycle. This Instant pop-up space was really successful as part of the exhibit. 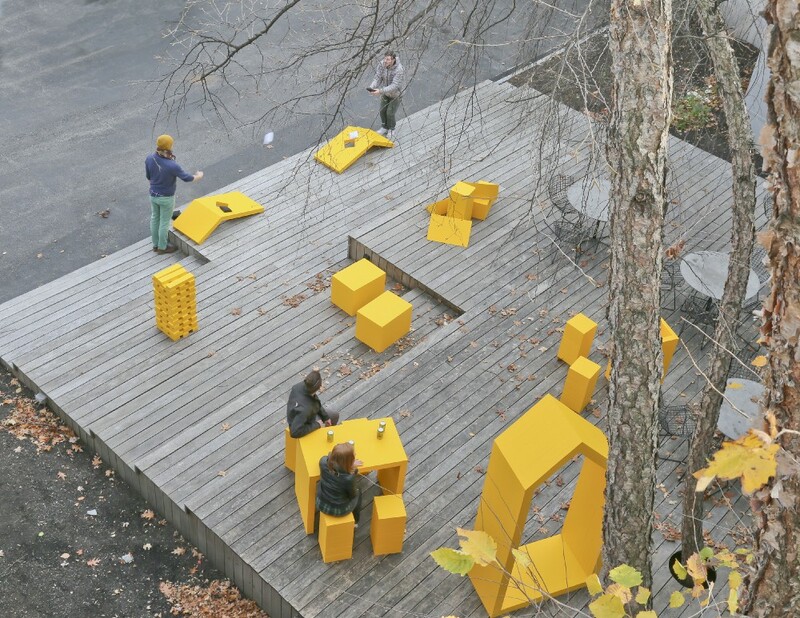 The premise behind it was to develop a prototype of landscape and urban furniture elements at its minimal expression that can be transported leaving no footprint behind, a temporary site specific, but also nomadic condition. 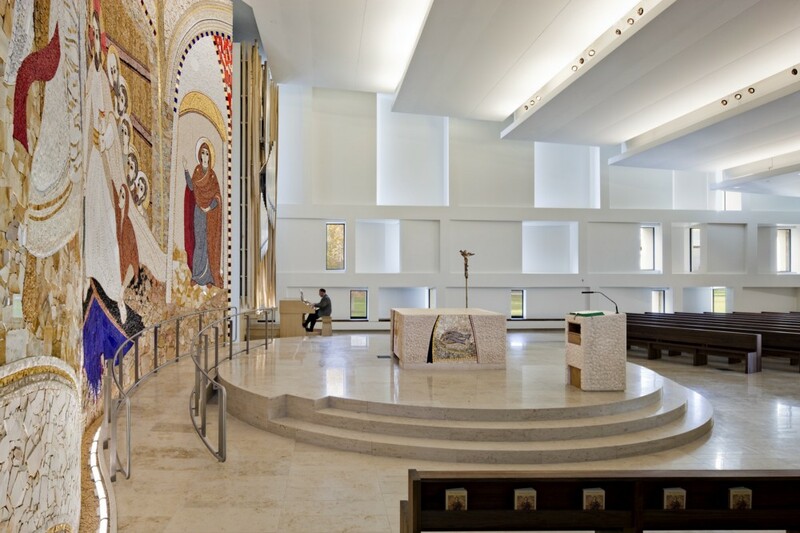 The new chapel at Sacred Heart University serves as a beacon for spiritual life on campus. It has a striking presence on the new main quadrangle. The chapel is an important crossroads in the heart of the campus, midway between the academic world and the athletic and residential life facilities on the hill. Developing prototypes were integral to the success of this project. We designed and built numerous prototypes, at different scales, allowing us to test materials, connections, comfort, and other factors. It was also a great way to engage the client in the design process, especially for seating elements. Building the pipe-organ scrim would not have been possible without the use of prototypes — the weaving process of each stave lead to several innovations in how to construct it. We are in the midst of a very special cultural moment that’s been created by a convergence of several factors. The first is an exponential increase in computer processing power, which would have been unthinkable a decade ago, enables us to compute vastly complicated data sets. For example, we now run optimization and generative simulations consisting of several hundreds of thousands of iterations — using desktop computers, this would take weeks, but with a cloud service, it can be completed in a few hours. The second is immediate access to new fabrication materials and tools; not only 3D printing, but rapid full-scale manufacturing — advances in material science, especially heterogeneous composites which greatly outperform homogeneous materials used in conjunction with increased gantry sizes will open the floodgates of innovation. And the third is a general paradigm shift — in architecture schools and in practices — towards dabbling, tinkering, and greater risk-taking. This convergence means that design firms have a lot more freedom and ability to imagine high performance custom solutions, made from the most appropriate materials for that unique design, all done outside conventional delivery techniques. Today, Sasaki maintains a dedicated “FabLab” to explore programs for office projects as well as non-billable work. Initially conceived as a lab, it has grown and permeated across the entire office space, rendering the whole office as one makerspace. We see it as one and the same as the innovation laboratory that is the office where every space (workspace, communal, recreational or other) can be subject for experimentation, such as testing different non-impervious paving materials in the parking lot, making our terrace into an urban farm, and converting our assembly spaces into virtual reality labs. We wanted to take this same internal excitement about making and share it with the broader design community. 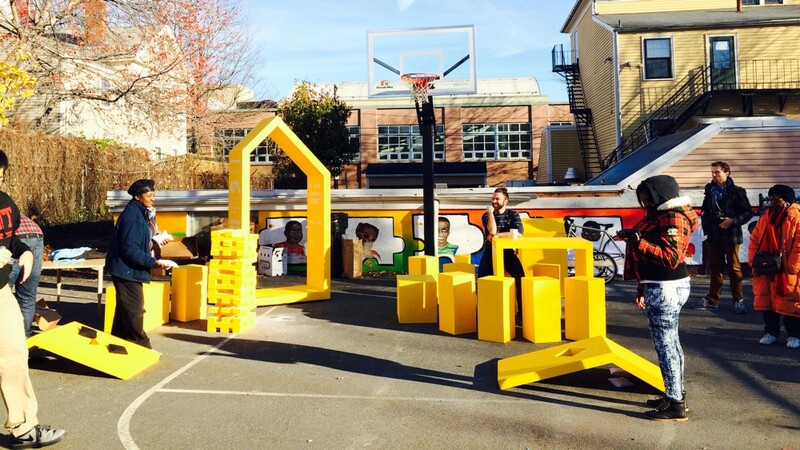 Earlier this year, and in conjunction with the Boston Society of Architects, we co-founded MakeTANK. MakeTANK is a new committee which explores making and how to bring it back into the design process. To show off our explorations, we designed and built a demonstration pavilion to be on display at this year’s ArchitectureBoston Expo. In my 20 or so years in this profession, I’ve never been as excited about our future as I am now. We are at a convergence of increased information sharing and software interoperability coupled with access to almost unlimited processing power and digital storage. Additionally the incorporation of new fabrication technology and techniques will transform the way we practice architecture. Today, software interoperability is clumsy at best. This includes getting different software packages talking with each other, and to different hardware. For example, have you ever tried to 3D print a version of your project from your industry standard BIM software? It’s almost better to rebuild it in a different software all together. We were so fed up with the process, we created our own utilizing voxels, then printing — super high resolution with an automated process that take minutes instead of hours. We are really excited about where computational / generative design (ability to iterate and optimize) and advanced building performance analysis and data visualization (breaking down the vacuum of a digital environment and grounding it back in the analog via programmed material behavior, physics engines, fluid dynamics etc) will take us. 1. We are departing from a model in which architecture is commodified and our focus is on a discrete structure or site. Instead, we are becoming social problem-solvers, actively understanding and shaping cultural, environmental, and economic spheres. And as problem-solvers, one of the solutions we can provide is built work. We need to design for solutions through collaboration and networking, within the context of our built and unbuilt environments, through disruptive innovation. The future of our profession relies on us transitioning from narrow technical experts to broad social thinkers and doers. A context where design thinking permeates all forms of education, enterprise and production, and 3-D printing allows anybody to experiment with design and fabrication, “design to build” becomes the norm. 4. The industry also needs to expand beyond our conventional fee-for-labor business model and be more entrepreneurial by seeking other revenue streams, such as product design, software development, acting as an incubator, and taking equity stakes in projects. The conventional fee-for-labor architectural business model is dead. We are developing alternative business models which will allow us to deliver design excellence while creating additional revenue streams. We are using these new business models to call into question every aspect of how we design, buy, make, move, and sells goods. We are prototyping and manufacturing building components that could be commercially available in different ways — for example, direct to consumer products via interfaces that allow them to specify different configurations. Given all the potential efficiencies of a highly integrated digital fabrication system, business process management may become the most important capability. Besides investing in Apple stock? I would tell younger me to help others be successful. I wish I learned this much earlier in my career. Instead of being limited to the project in front of me, I look for ways to help colleagues succeed at whatever they are doing. I think this is much more rewarding. Also, it’s easy to get caught up in chasing your dreams and ambitions, of being fully immersed in work that you love and brings such joy to yourself. Not everything has to be perfect. With apologies to Grandpa Oscar, there is a point where it is good enough. “Good enough” should not be seen as a negative, or somehow not meeting goals that you have set, or something less than what it should be. “Good enough” is just the right amount of quality and excellence to more than satisfy your project’s needs. Finally: don’t miss date night with your wife because of a deadline. Find joy outside of work, and you will do better at your work.  Archived in Design Manifesto. Bookmark the permalink.